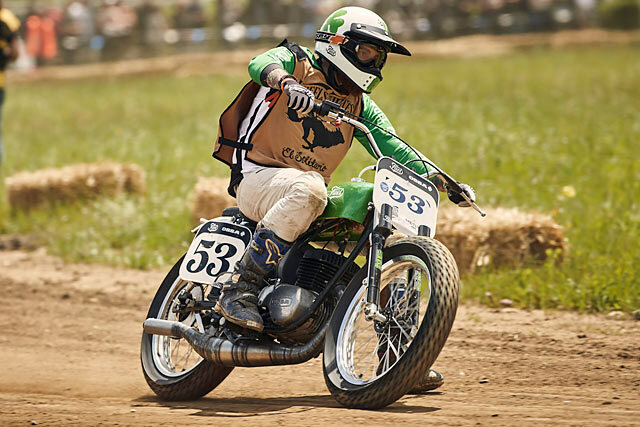 Fuel motorcycles make sweet retro-inspired motorcycle clothing. If you’ve got a custom tracker, scrambler or ‘vinduro’ bike odds are there’s something you’ll oogle over from Fuel. And as well as producing some of the neatest jackets I’ve seen in recent years they also dabble in building bikes. And they do a damn good job of it. 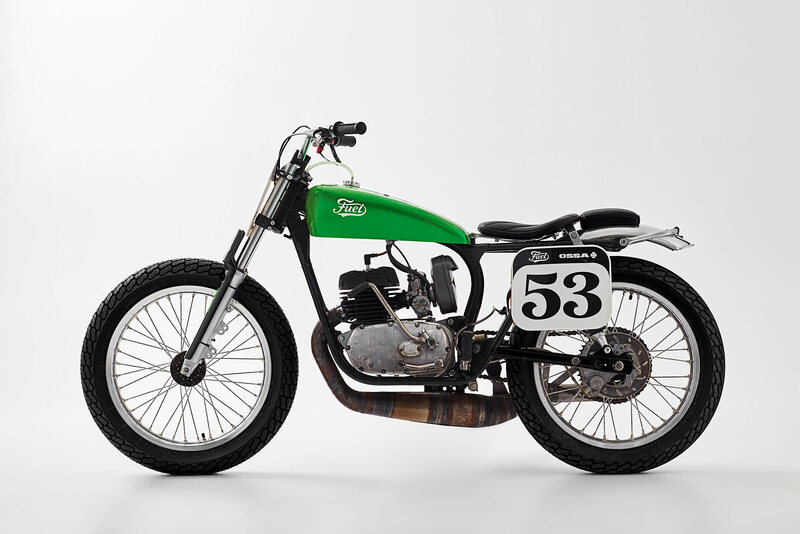 Like this Ossa 1971 Pioneer 250 dubbed ‘The Green Wasp’. 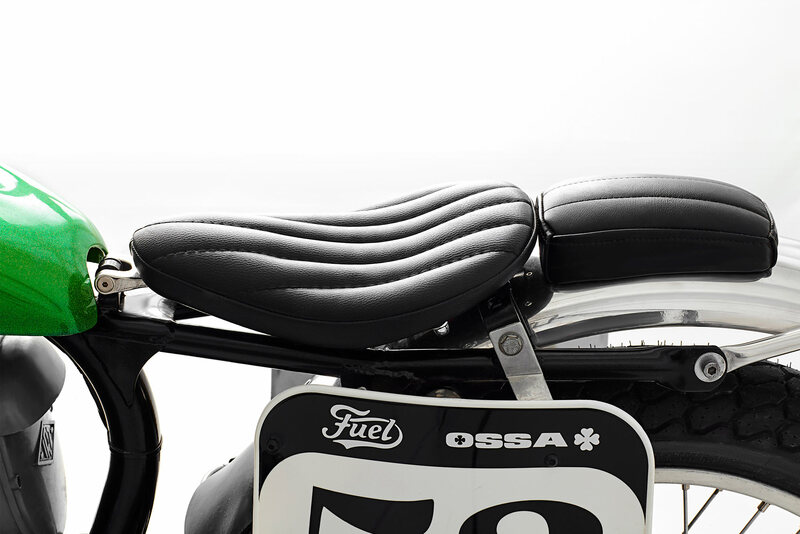 Now if you haven’t heard of Ossa there’s nothing to be ashamed of. 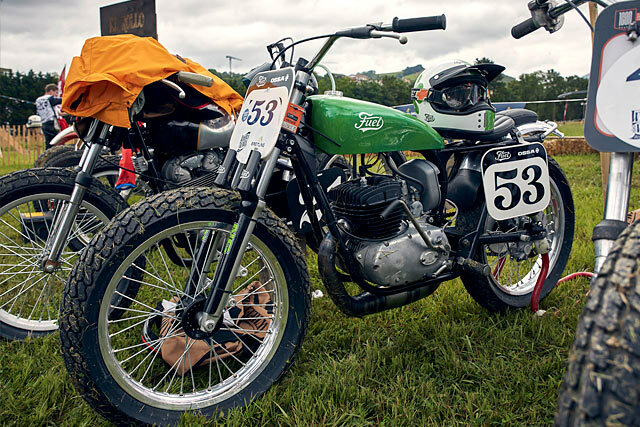 Odds are that you’re not hugely into vintage trials, motocross or old men with broken bones and long beards. 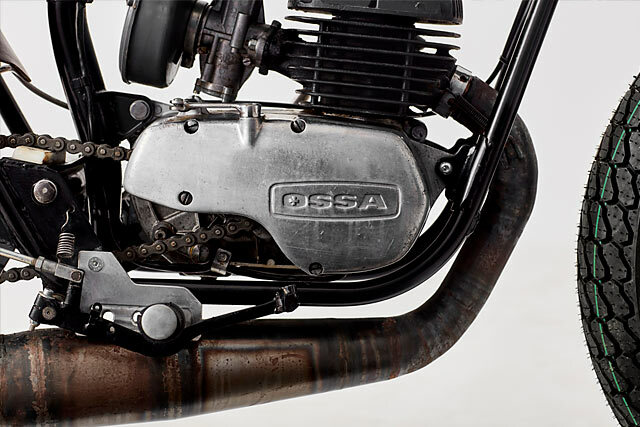 For the record, Ossa produced all manner of motorcycles from the 1920’s through to the early 80’s. 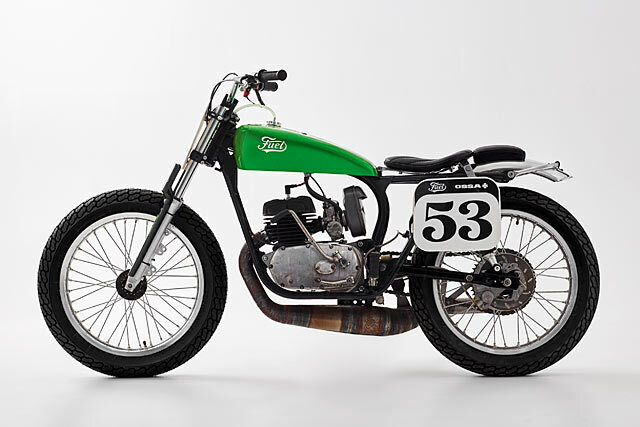 They did some road bikes, budget commuter motorcycles but they were most famous for their off-road motos. 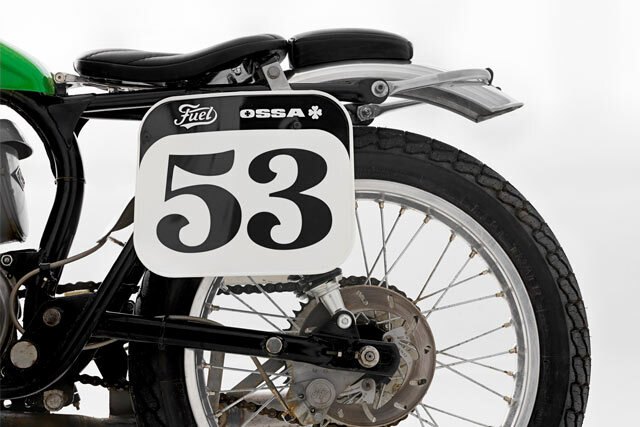 In the glorious halcyon days of motocross and before the Japanese came in and curb stomped European manufacturers into submission, Ossa enjoyed international success with their line up of enduro machines. They were reliable. They were simple. And they were bloody fast. 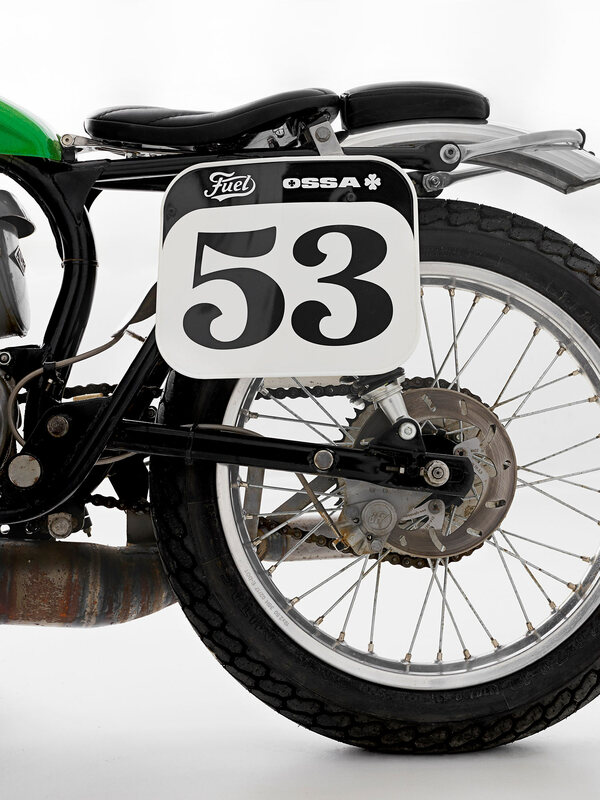 So it’s no surprise that for the next project, the team at Fuel Motorcycles didn’t have to look further than a locally-sourced, free range Ossa. 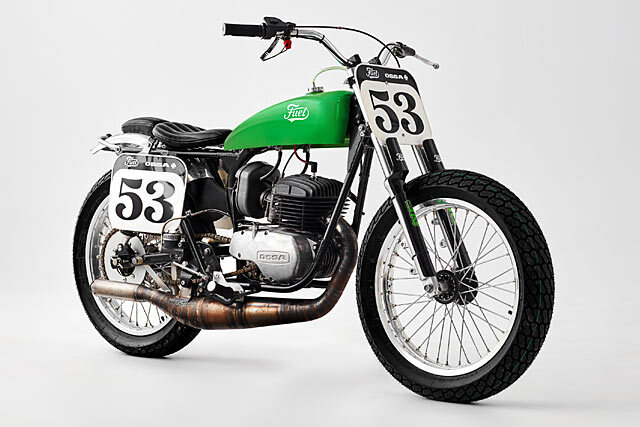 The 2-stroke Pioneer 250 was hugely popular throughout the 70’s in Europe and America and had a reputation as a bit of a winner. 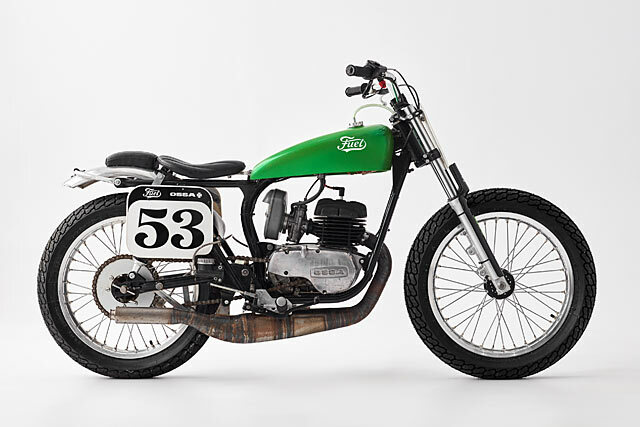 And the guys at Fuel wanted this custom to be competitive as well as good-looking – with the bike due to make its debut at the ‘El Rollo’ flat track event as part of the French ‘Wheels and Waves’ festival. “The main idea was to make a motorcycle as simple as possible, with only the essentials needed to run”. 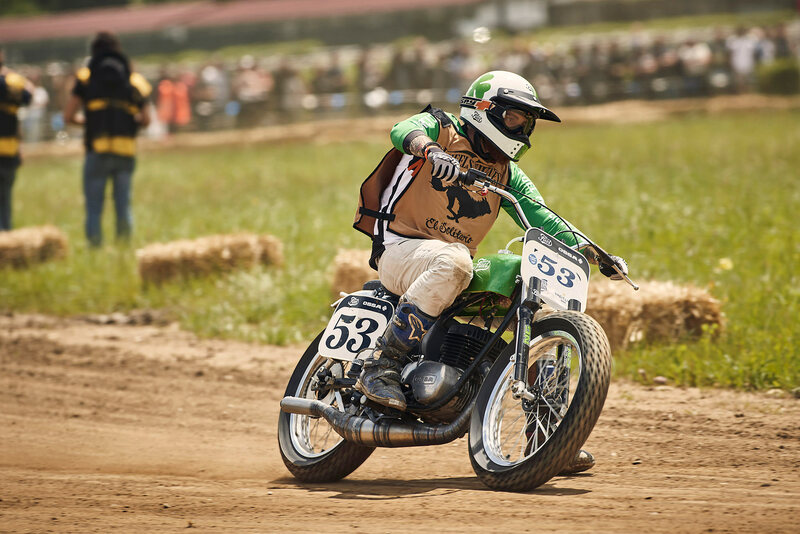 Our inspiration was the old Triumph dirt trackers of the 1970s,” says Karles Vives, head of the Fuel workshop. 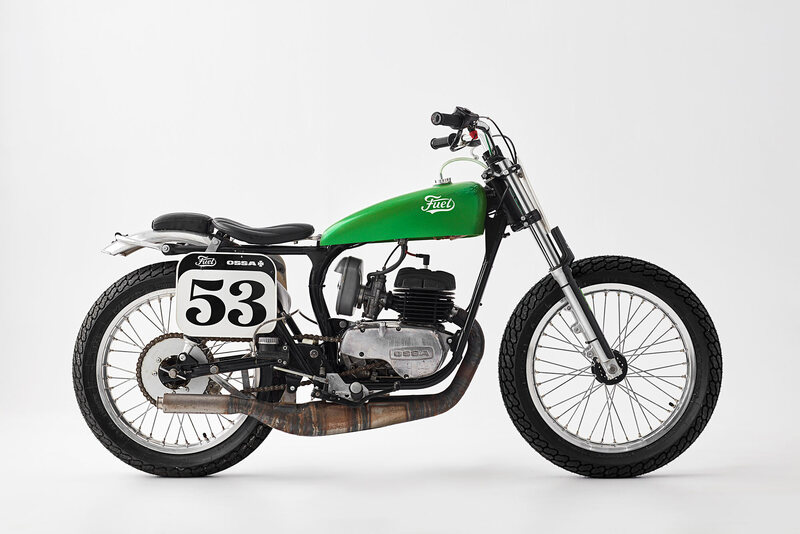 “The main idea was to make a motorcycle as simple as possible, with only the essentials needed to run”. So the first thing the team at Fuel did was to source a Triumph Trackmaster fibreglass fuel tank, as well as a retro single seat and metal rear fender. To fit this to the Green Wasp, Karles and the team had to modify the rear of the subframe to ensure a snug fit, essential to giving the bike a ‘semi-stock’ appearance. Underneath all that things get a little trickier. At the front twin 41mm forks were adapted from a Kawasaki. 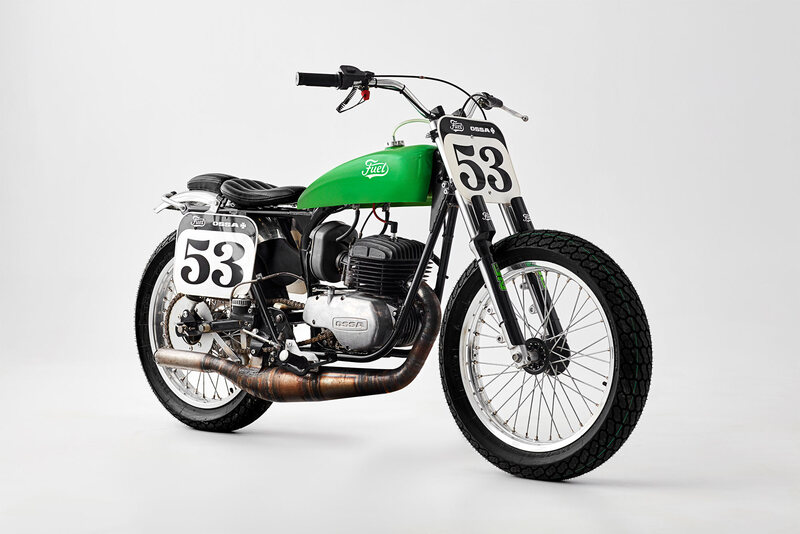 It runs 19” wheels at both ends, with the front hoop laced to a modified Beta 80 hub and disc assembly, connected to a master cylinder from a Ducati. 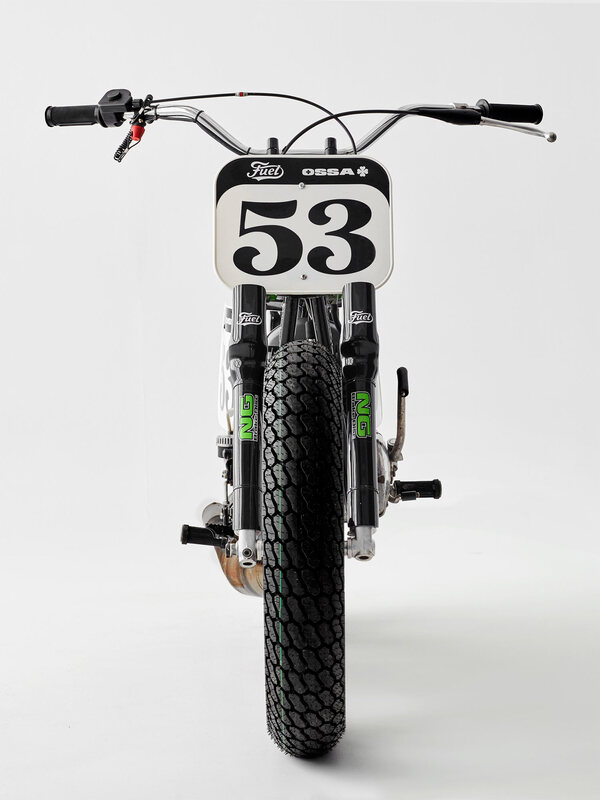 At the rear the hub and brake assembly is also taken from a Beta 80, with Mitas dirt track tires sported at both ends. A YSS rear shock keeps the back-end under control. Finally, the bike went in for a gorgeous layer of green chilli metal flake, executed by local paint maestros the Bip Bip Boys, rounding out a motorcycle that is every bit as good-looking as it is competitive. And how’d it go at El Rollo? Well, the team managed to get the bike all the way into the finals. “We were incredibly happy with the performance,” Karles says. Here at Pipeburn not much tickles our fancy more than a custom-built for a purpose. 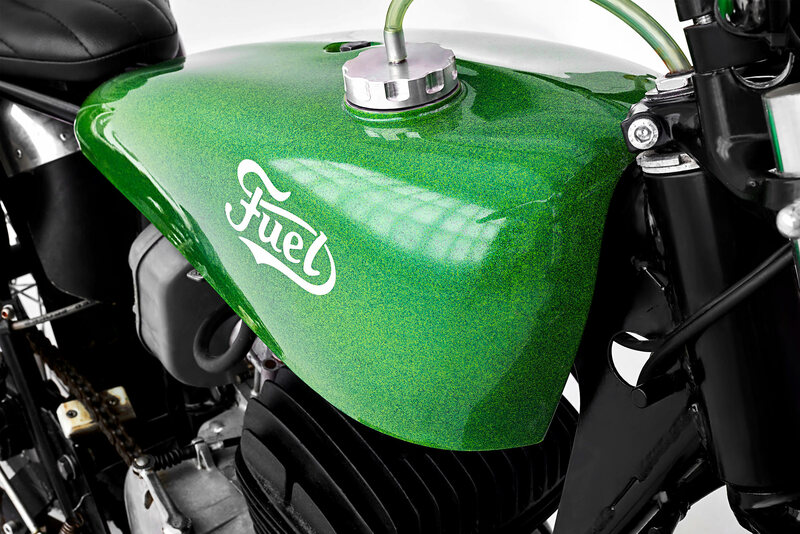 And Fuel Motorcycles shows us how it can be done with a sense of grace, style and simplicity in a way not many workshops can manage. We can’t wait to see what they’ll produce next.